I was in a vintage store in Tokyo a few years ago and saw a beautiful pair of 1940’s English toe cap Oxfords. The thing I loved was the last, it was very round, but not bulky, just very elegant. I made a mental note and recreated it when I got home and this is it. To some it might not seem anything special, but to me it has lovely proportions and is completely timeless. The upper is a toe cap Derby boot, typical of the era but also totally timeless and relevant today. 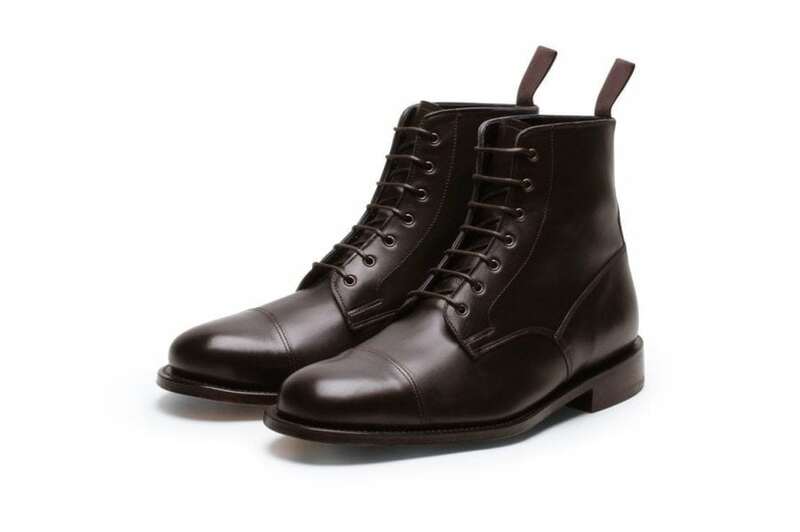 A stylish derby boot available in dark brown calf leather.